METRO'S ENTERPRISE AREA COMMAND WANTS YOU TO HAVE FUN THIS SUMMER BUT BE SAFE! Make sure garage doors are closed and locked both day and night including all maIn doors. Burglars are opportunistic so if your doors are locked burglars will most likely move on to an easier opportunity. Know what is happening in your neighborhood and don't be afraid to report suspicious persons, vehicles and activity specifics such as license plate numbers or personal descriptions. Call 3-1-1 when you observe any suspicious person, vehicle or activity that doesn’t seem normal for the neighborhood or situation. BE A GOOD & SAFE WITNESS! The Enterprise Area Command is asking for residents to pay attention to public buildings and park property. During the summer months there is an increase in property damage to the park restrooms and equipment. If it looks suspicious please call Metro’s Non-Emergency number 3-1-1 and take note of person, activity and vehicle description. 	Install secure proper locks on doors, and USE THEM! 	Leave lights on while you are away from home whether for an hour or a week. 	Adequately secure all windows to include extra safety devices which will enhance your standard window lock. 	Lock garage doors and windows, including the interior door into your home. 	Do not “advertise” that you will be away from home by letting newspapers or flyers build up at your front door or on your vehicles. Have a trusted family member or friend stay at or regularly stop by your home to give it the lived in look. 	Record all serial /model numbers and maintain records of all your property and keep copies of inventory sheets at a family member’s home or at your office in case of theft or fire. 	Mark all property with an identifying numbers or markings and record the item marking information. 	Organize your street into a Neighborhood Watch group. IT DOESN’T TAKE A LOT OF EFFORT TO TAKE A BITE OF CRIME! 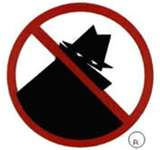 	If you are involved with Neighborhood Watch then hold an Neighborhood Watch “OPERATION IDENTIFICATION” meeting to get everyone on your street involved in completing their own personal inventory. 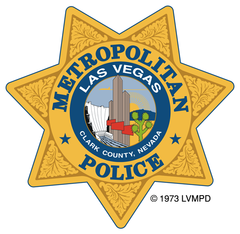 	Call Metro’s Non-Emergency number 311 to report all crimes and suspicious persons, vehicles or activities on and around your street!